Niedersachsen is a German state situated in northwestern Germany and is second in area with 47,624 square kilometers and fourth in population with 8 million among the sixteen states of Germany. Niedersachsen borders the North Sea, the states of Schleswig-Holstein, Hamburg, Mecklenburg-Vorpommern, Brandenburg, Sachsen-Anhalt, Thüringen, Hessen and Nordrhein-Westfalen and the kingdom of the Netherlands. In fact, Niedersachsen borders more neighbors than any other single federal state. The state of Bremen forms two enclaves within Niedersachsen, one being the city of Bremen, the other, its seaport city Bremerhaven. The most important cities in Niedersachsen are Brunswick, Delmenhorst, Emden, Göttingen, Hanover, Oldenburg, Osnabrück, Salzgitter, Wilhelmshaven and Wolfsburg. The states capital city is Hanover. Architecturally significant in Niedersachsen was the epoch of the Renaissance, which is reflected in many buildings in the style of the Wesser Renaissance. Another attraction consists of the Royal Gardens of Herrenhäusen in Hanover. The city of Osnabrück offers a lot of buildings from the in the Rococo style. Sites include the old town with the cathedral and the old town hall, besides these two main attractions the city offers a lot of half-timbered houses and stone works like Ledenhof. Also, Osnabrück castle is one of the largest Baroque castles in Niedersachsen. The Niedersachsen State Museum is the largest museum in Hanover. The State Gallery shows the European Art from the 11th to the 20th century, the Nature Department shows the zoology, geology, botanic, geology and a Vivarium with fishes, insects, reptiles and amphibians. The Primeval Department shows the primeval history of Niedersachsen and the Folklore Department shows the cultures from all over the world. The Berggarten is an important European botanical garden. Some points of interest are the Tropical House the Cactus House, the Canary house and the Orchid House, which hosts one of the world’s biggest collections of orchids, and free-flying birds and butterflies. 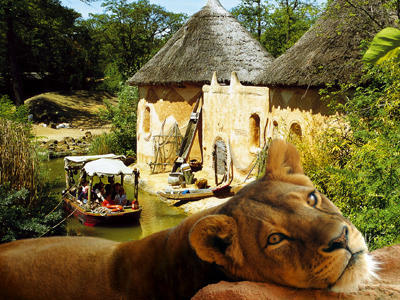 The Hanover Zoo is one of the most spectacular and best zoos in Europe. The zoo consists of several theme areas: Sambesi, Meyers Farm, Gorilla-Mountain, Jungle-Palace and Mullewapp. Around 40 theaters are located only in Hanover! The Opera House, the Schauspielhaus, the Ballhofeins, the Ballhofzwei and the Cumbarlandsche Galerie belong to the Lower Saxony State Theater. The Theater am Aegi is Hanover’s big theater or musicals shows and guest performances. This includes the two part heritage site of St. Mary Cathedral and St. Michael’s Church in Hildesheim. The three-part heritage site consisting of the Rammelsberg mine, the old town of Goslar and the Upper Harz Water Regale. A recent world heritage site is the Fagus factory in Alfeld. The Cuisine in Niedersachsen covers a range of regional, North German culinary traditions, which in many cases are very similar to one another, for example cuisine from the areas of Oldenburg, Brunswick, or East Frisia. It is mainly indigenous and in some cases very healthy, but also very tasty. Fish dishes in the coastal region and the areas around the estuaries of major rivers like the Elbe, Weser, Jade and Ems are plaice, flounder, herring and mackerel. In the interior of Lower Saxony, trout or eel e.g. at the Steinhunder Meer are popular dishes. Pre-cooked sausage is very popular in the Lüneburg Heath and the region around Bremen as well as the Schaumburg Land. Local varieties include Bergenwurst, Kohlwurst, Pinkelwurst. Two specialties from the Hanover region are the Schlachteplatte, a dish with a variety of different meats, and the Calenberger Pfannenschlag. An internationally known sausage specialty is the Braunschweiger. For coffee breaks butter cakes, tortes or other desserts are eaten, such as Welf pudding. Buckwheat gateu is popular around the Lüneburg Heath region. Niedersachsen is home to many breweries, for example in Jever, Einbeck, Celle, Lüneburg, Brunswick, Allersheim, Hanover, Wittingen, Peine and Göttingen. Two of the oldest beers, which have been brewed since the middle Ages, are Brunswick Mum and Goslarer Gose. Agriculture has always been a very important economic factor in Lower Saxony. Wheat, potatoes, rye and oats as well as beef, pork and poultry are some of the state’s present day agriculture products. The north and northwest of Lower Saxony are mainly made up of coarse sandy soil that makes crop farming difficult and therefore grassland and cattle farming are more prevalent in those areas. Mining has been an important source of income in Lower Saxony for centuries. Silver ore became a foundation of notable economic prosperity in the Harz Mountains as early as the 12th century, while iron mining in the Salzgitter area and salt mining in various areas of the state became another important economic backbone. Manufacturing is another large part of the regional economy. Despite decades of gradual downsizing and restructuring, the car maker Volkswagen with its five production plants within the state’s borders still remains the single biggest private sector employer. 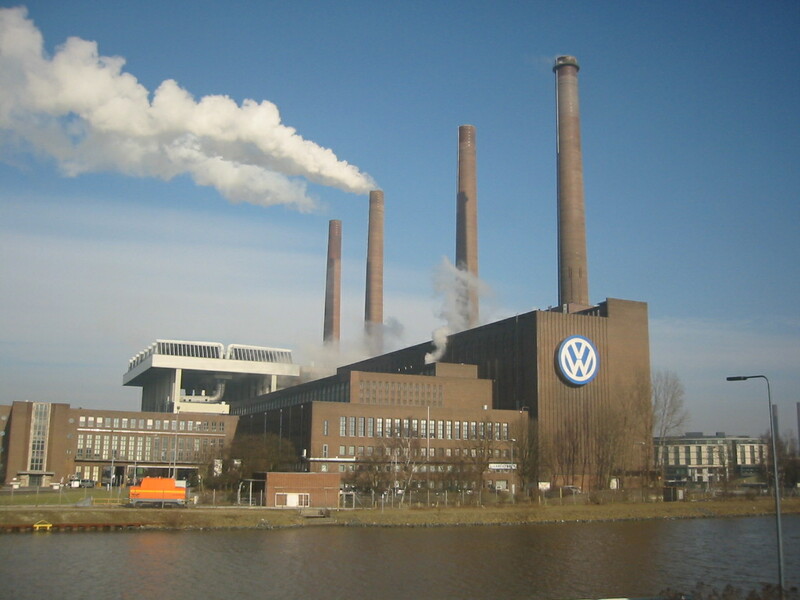 Its world headquarters is based in Wolfsburg. Other mainstays of the Lower Saxon industrial sector include aviation, shipbuilding, biotechnology and steel. An important branch of the service sector today is the tourism industry with TUI AG in Hanover, one of Europe's largest travel companies. Besides it’s inland attractions, Niedersachsen benefits from tourists drawn by its North Sea coast with a paricular focus on the so-called Cuxland and on the East Frisian Islands. Important tourist places are here in Cuxhaven, with its districts Duhnen, Döse and Sahlenburg, the municipality Wursten and Otterndorf at the mouth of the Elbe. 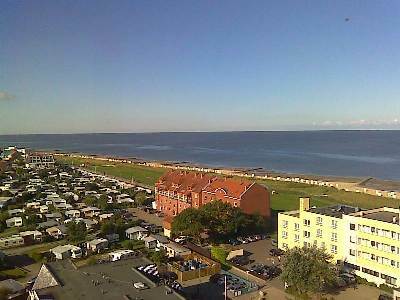 Other important seaside resorts are located in Butjadingen, in Oldenburg Friesland and the East Frisian Coast.